The Lyme-Old Lyme Chamber of Commerce hosts its annual meeting this Wednesday, June 21, at the Old Lyme Country Club. Cocktails (self-pay) start at 6 p.m. and the dinner at 7 p.m. All are welcome. The Chamber will present its Business Leadership Scholarship award during the evening and also honor all the students who have won the Lyme-Old Lyme High School Rutherford Sheffield “Business Student of the Month” award during the school year. The Chamber will also review its achievements over the past year and look forward to the new year with the appointment of new officers. There will also be plenty of opportunity for business networking. Admission to the meeting, which includes a three-course dinner, is $25.00 in advance or $27.50 at the door. Register at this link. Displaying the giant ‘Share The Love’ check from Reynold Subaru to Center for Hospice Care are, from left to right, Ken Scanzio, Subaru of New England District Representative, Kathryn Reynolds Wayland, Owner of Reynolds’ Subaru, Sean Mitchell, Director of Development for Center for Hospice Care, Sally Markko, Development Specialist for Center for Hospice Care, G. Hayden Reynolds, Owner of Reynolds’ Subaru and Nora Morrissey, Reynolds’ Subaru Sales Manager. Center for Hospice Care recently received a generous contribution in the amount of $22,000 from Reynolds’ Subaru of Lyme. 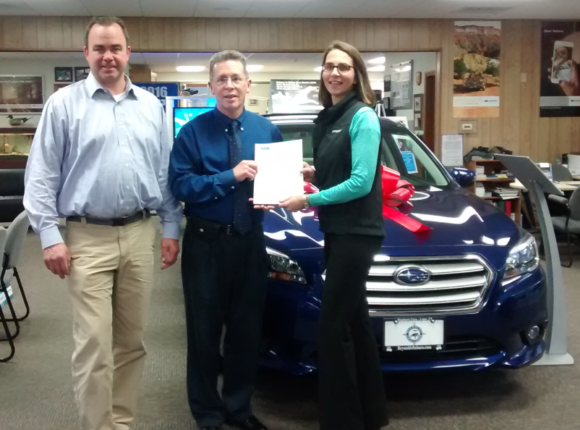 Reynolds’ Subaru selected Center for Hospice Care as its Hometown Charity for the 2016 Subaru Share the Love Campaign. For every new Subaru that was sold from Nov.17-Dec. 31, 2016, customers could select one of four national charities or Center for Hospice Care as the recipient of a $250 donation. For the Reynolds family of Reynolds’ Subaru, the selection of Hospice is very personal. 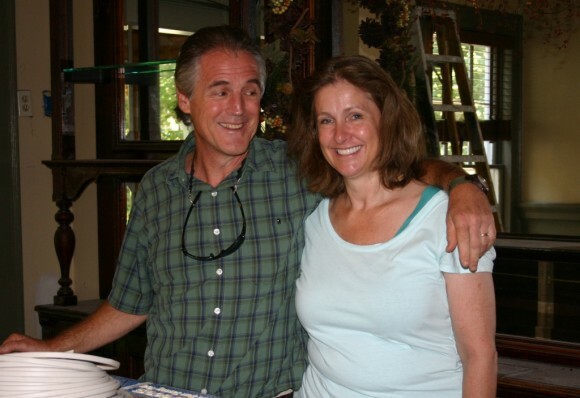 The family lost their father, Gary, very suddenly to a brain tumor three years ago, and Center for Hospice Care assisted their family with many aspects of his care. The Reynolds family made the decision to bring Gary home for his end-of-life care, but could not have done so without the support of Center for Hospice Care. Without the guidance of hospice, the level of care received would not have been possible. Since 1985, Center for Hospice Care has served more than 12,000 patients. We are the largest hospice in Southeastern Connecticut and the only hospice provider that delivers all the care and services needed by patients and their families – including extended group and individual bereavement counseling to anyone who needs it, free of charge. Our staff is the most qualified and experienced in the field and is augmented by more than 150 specially trained volunteers who provide companionship to our patients and respite to their families. Center for Hospice Care would like to express its sincere appreciation and gratitude to Reynolds’ Subaru and the Reynolds Family for their support of our organization and mission. For more information on this exciting partnership, contact Sean Mitchell at SMitchell@hospicesect.org or call 860.848.5699. From left to right, front row, Guilford Saving Bank Branch Manager, Dave Carswell, SSKP Board Member Rick Westbrook, SSKP Executive Director, Patty Dowling, and Guilford Saving Bank Community Development Officer, Lisa La Monte. (back row) Guilford Saving Bank Assistant Branch Manager, Sandra Miller, and Guilford Saving Bank tellers Ryan Donovan and Brandy Reilly. 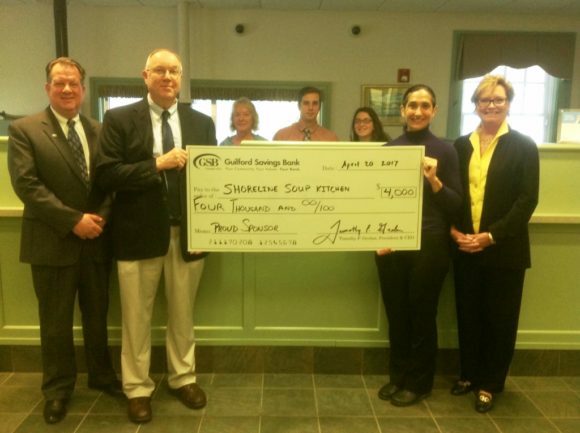 AREAWIDE — Guilford Savings Bank has awarded a $4,000 grant to Shoreline Soup Kitchens & Pantries (SSKP) to purchase fresh produce for needy residents of the shoreline. The grant, called “Green for Greens”, helps assure that local families who come to SSKP’s food pantries will be provided with fresh fruit and vegetables, in addition to non-perishable foods. “The support of Guilford Savings Bank and their generous “Green for Greens” is truly a gift to those we serve at our 5 food pantries. We all know the feeling of eating a fresh crisp apple, or finding a banana in our lunch bag when we are hungry midday. Because of GSB, those in need will share in that feeling, and on behalf of those we serve, I sincerely thank Guilford Savings Bank for their commitment to providing access to fresh fruits and vegetables,” said Patty Dowling, Executive Director. Founded 28 years ago, The Shoreline Soup Kitchens & Pantries provides food and fellowship to people in need and educates the community about hunger and poverty, serving the Connecticut shoreline towns of Essex, Chester, Clinton, Madison, Old Saybrook, East Lyme, Lyme, Old Lyme, Killingworth, Westbrook and Deep River. A view of Saybrook Point Inn from the Connecticut River. Comcast Business today announced that Saybrook Point Inn, a luxury Connecticut inn featuring elegant accommodations, fine dining and premier spa services, is using Comcast Business Ethernet, Internet, Phone and Video offerings to provide guests with high-quality technology services as well as improve inn operations. The privately-owned travel destination is located on the Connecticut River at the entrance to Long Island Sound and features more than 100 guest rooms, a full-service spa, fine dining restaurant and marina that can accommodate vessels up to 200 feet. To meet its commitment to environmental conservation, operational efficiency and exceptional guest services, the management team streamlined its technology offerings and implemented Comcast Business Internet to increase the performance for all three of its networks in the marina, office and guest areas. “Both our social and corporate guests require high-speed internet service, from the visiting yachts in the marina who use it for self-diagnostic marine systems and video applications, to those staying in our inn. Comcast Business provides us with reliable internet as well as phone and video services throughout the property,” said John Lombardo, general manager of Saybrook Point. Saybrook Point Inn was the first “Green Hotel” designated in Connecticut and is well-known for its eco-friendly practices, several of which rely on technology to meet the property’s green commitment. Looking across the Saybrook Point Inn’s marina to the accommodations beyond. In the guest rooms, Saybrook Point implemented Comcast Business’ Q2Q hospitality solution offering guests full voice and video offerings with a specific Saybrook Point default channel to promote various events and news and a second menu channel. These channels eliminate the need for the Inn to print materials for the rooms continuously, thus adding to its eco-friendly mission. Their cogeneration and extensive solar panel system also rely on solid internet services to perform properly. “Technology offerings including high-speed internet, phone and hi-def video are among the top amenities for resorts such as Saybrook Point Inn to keep guests connected to their families and work during their travels as well as provide entertainment options,” said Michael Parker, regional senior vice president for Comcast’s Western New England Region. Additionally, Saybrook Point Inn relies on Comcast Business to strengthen its operations with a 100 Megabit-per-second (Mbps) Ethernet Dedicated Internet line and PRI business phone service for direct dialing around the property. “Our invoices are processed via an online central accounting system so our efficiency is greatly impacted if the network is slow or offline. Also, our staff offices, printers and copiers are connected through an online shared system, which needs reliable internet,” Lombardo noted. He commented, “Comcast Business ensures that we are operating at peak productivity. And it has allowed us to implement new guest service systems. For instance, in the dining room, we use iPads and OpenTable to communicate the status of each table in real-time with the hostess station to decrease guest wait times, and we are implementing systems for housekeeping and maintenance departments to both eliminate paper, intrusive radio communication and have better accountability. Situated along the picturesque shores of historic Old Saybrook, Connecticut, Saybrook Point Inn, Spa and Marina features a collection of 100 elegantly-appointed guestrooms, 24 villas offering long and short-term rentals, a rejuvenating full-service SANNO spa, and casual fine dining restaurant, Fresh Salt, as well as a unique waterside Lighthouse Suite. In addition, the historic Three Stories and Tall Tales luxury guesthouses offer exquisite rooms that convey the story of famous local residents, including Katharine Hepburn. 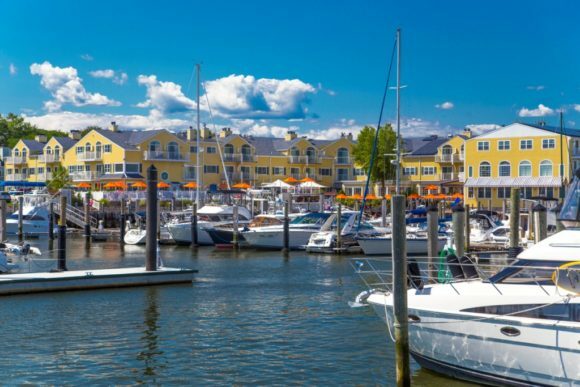 Saybrook Point also shines with the pristine Saybrook Point Marina, a landmark boating destination conveniently located at the mouth of the Connecticut River with easy access to Long Island Sound. It can accommodate vessels from 12 to 200 feet and has received numerous premier Connecticut marina awards. More information is available at www.saybrook.com. AREAWIDE — Finding local bus route information just got a whole lot easier. In fact, you probably already have it available on your smartphone. Google Maps now includes local bus routes and schedules in its directions feature. Riders no longer have to read timetables. They simply enter the date and time that they hope to arrive at their destination and the trip planner will provide three options, showing the amount of time and number of transfers for each option, letting you easily select the most convenient trip. Google Maps can even provide walking directions, so you can find out exactly how to get to the nearest transit stop or station, and how to get to your destination once you leave the train/bus. For extra convenience, Google Maps has most locations already stored, so you only need the location name or just a category, such as fast food. Another important feature is the ability to plan trips across agencies and modes. CT Transit New Haven and Hartford, CT Transit Express, Shoreline East and Metro North are all available in Google Maps, so it is easy to plan your trip from Old Saybrook to Hartford, from Manhattan to the outlet malls, or from your Clinton to downtown New Haven. Google Maps tells you all transfers required along with the connecting agency name and contact information. “We hope this tool makes it easier than ever to plan your trip by bus or train in our region”, says Joseph Comerford, Executive Director of 9 Town Transit. ‘Hooters’ Hopes for Home in Old Lyme? Life is strange, isn’t it? Since this past Friday, the threat of a high speed rail route passing under, or perhaps, over our beloved little town has become very real, but astonishingly — in some ways — we have actually received more direct communications about the possibility of “Hooters” moving into town than reactions to the railroad proposal! 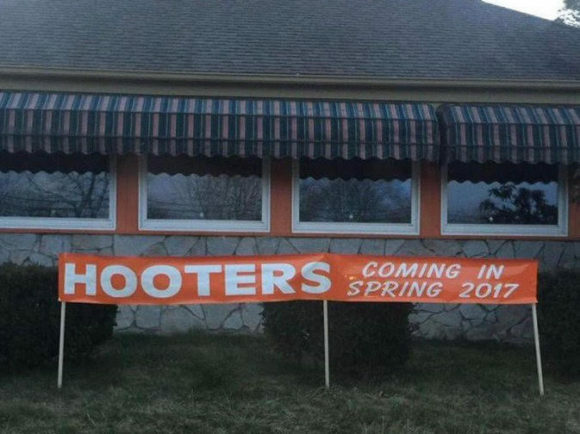 So that’s it folks — no ‘Hooters’ in Old Lyme … for the moment anyway! Now let’s move on to dealing with this train issue and remember we only have 30 days to respond. Kathryn Wayland, Reynolds Subaru owner, is pictured presenting Paul Doyle, Estuary Council Executive Director, with a check for $1,000. Standing to the left is G. Hayden Reynolds, Reynolds Subaru owner. The Estuary Council of Seniors recently received, through Reynolds Subaru, the Ambassadors Grant from the National Automobile Dealers Association (NADA) in memory of Gary Reynolds, owner of Reynolds Garage & Marine Inc. in Lyme, CT. Gary Reynolds was well known for his distinguished career in the automotive retail industry and his generosity in our local communities. 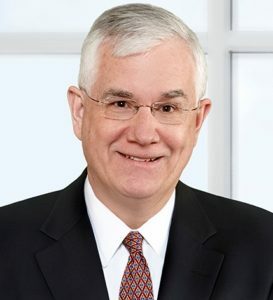 He served on the board of directors of the NADA, representing franchised new car and truck dealers in Connecticut until his passing in 2013. The Reynolds family designated the Estuary Council of Seniors to be the recipient of the Ambassadors Grant in memory of Gary and in addition to the award of $500, the Reynolds family matched the grant with an additional $500. The Estuary is pleased to accept this wonderful grant from the NADA and gift from the Reynolds family in memory of Gary Reynolds in continuing support of the Estuary’s Meals on Wheels program. This past fiscal year the Estuary delivered over 50,000 meals to Meals on Wheels recipients in the nine town Estuary region including Chester, Clinton, Deep River, Essex, Killingworth, Lyme, Old Lyme, Old Saybrook & Westbrook. Tribal Crafts Inc., will hold its annual holiday sale this weekend and next weekend. Storefront hours are Saturdays 10 am to 6 p.m. and Sundays 10 a.m. to 5 p.m. at 86 Halls Rd. in the Old Lyme Marketplace (next to Rob Rivers Salon). The non-profit organization is based out of the First Congregational Church of Old Lyme (FCCOL) and the sale of items directly benefits Lakota artists and crafters of the Cheyenne River Reservation in South Dakota. The Lakota people face immense challenges on the reservation. According to 2010 census data, Ziebach County, which makes up the majority of the Cheyenne River Reservation, is America’s poorest county with unemployment estimates of above 75 percent. Reservation life is about daily survival. Being able to help by way of Tribal Crafts is a vital part of the organization’s mission. Not only does Tribal Crafts affirm and celebrate the beautiful traditional crafts for which the Lakota are known, but it is also an important source of financial assistance. The First Congregational Church has a 32-year-old partnership with the Green Grass community on the Cheyenne River Reservation in South Dakota, said Stephanie Kenny, the president of the Tribal Crafts board. The sale will include arts and crafts from Beit Sahour, outside of Bethlehem, and organic olive oil. The featured artist this year is Paul Sand, a Lakota artist and Native American activist who lives in Eagle Butte, South Dakota, on the Cheyenne River Reservation. He carves sculptures from cottonwood root, a sacred tree to the Lakota people and says it is not always easy to sell artwork on the Reservation. Tribal Crafts is also selling the work of Haitian artists affiliated with The Crosby Fund for Haitian Education, a program with strong ties to FCCOL. Other items on sale include hand-made silver and beaded jewelry, vibrant Haitian paintings and sculptures, dream catchers, quilts, purses and more. Necklaces by featured artist Travis Harden, who will be in the store Nov. 22, 23. Robinson+Cole recently recognized eight lawyers for pro bono work, community service, mentoring, and promoting an inclusive work environment. Included among them was Edward (Ted) V. O’Hanlan of Old Lyme, who was one of three lawyers to be presented with the Robinson+Cole Mentor of the Year Award. This award recognizes and honors lawyers throughout the firm for their outstanding guidance, support, and encouragement of fellow lawyers in their pursuit of professional growth. The other two lawyers receiving the award were Nuala E. Droney and John B. Lynch Jr.
Robinson+Cole is a service mark of Robinson & Cole LLP, an Am Law 200 firm with 200 lawyers in nine offices serving regional, national, and international clients, from start-ups to Fortune 500 companies. For more information, please visit www.rc.com. Webster Bank has announced it has been chosen as the Business of Year by the Northeastern Economic Developers Association (NEDA). The award was presented Sept. 12 during NEDA’s annual conference in New Haven, Connecticut. The award is given each year to a regional for-profit company that has shown outstanding and continued commitment to the economic well-being of the communities it serves. It also recognizes initiatives related to labor/workforce development, entrepreneurship, and overall understanding and support of local economic development issues. Based in Liverpool, New York, NEDA was founded in 1956 as the Northeastern Industrial Developers Association. As a professional resource for economic developers, it has promoted professional economic and industrial development throughout the Northeast and has championed effective, innovative economic development practices for the past 60 years. Webster Bank is a leading regional bank serving businesses and consumers in the northeast and celebrating its 80th anniversary. Webster Financial Corporation is the holding company for Webster Bank, National Association. With $25.1 billion in assets, Webster provides business and consumer banking, mortgage, financial planning, trust, and investment services through 176 banking centers and 347 ATMs. Webster also provides telephone banking, mobile banking, and Internet banking. 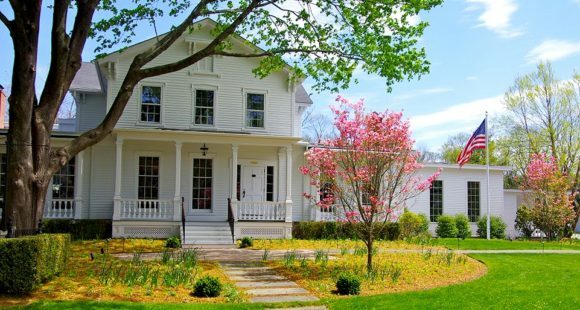 Almost on a whim, Ken and Chris Kitchings purchased the long-neglected Old Lyme Inn in 2011 and then spent a full year renovating the exterior of the main building while also updating and upgrading all systems and décor. In April of 2012, they opened the restaurant and eight of the 13 rooms and the following year, they opened the remaining five rooms and The Side Door jazz club. The property is significant covering almost two acres and, apart from the elegant rooms and the extremely popular jazz club, it also features a variety of dining areas. These include a beautiful patio shaded by a large maple tree (40 seats), a bar room (38 seats), a main dining room primarily used for special events (60+ seats) and a small private room (18 seats). The Side Door is a 75-seat intimate space that includes a full-service bar and showcases world-class jazz musicians every Friday and Saturday night. Having rapidly established a national reputation, it was a tremendous honor when Downbeat magazine recognized the club in February 2016 as one of the premier jazz clubs in the world. The Old Lyme Inn is located just seconds away from the I-95 Exit 70 off-ramp. The Inn enjoys a prime location moments away from the foot of the I-95 Exit 70 off-ramp, placing it exactly two hours from both Boston and New York. The 13 guest rooms are sold out most weekends with wedding guests in the warm months and attendees of The Side Door jazz club during the remaining months. With the club, restaurant and guest rooms — not to mention the outstanding central location — there is unquestionably vast potential in the property. Moreover, the Inn is located directly across the street from the Florence Griswold Museum, which is recognized as the birthplace of American Impressionism. This past August Ken and Chris were obliged to curtail restaurant service due to a lack of kitchen staff. Both The Side Door and the Inn remain fully operational — special events are being executed as planned, utilizing a skeleton crew of loyal staff. Rendering of front aerial view of new Reynold’s Subaru dealership in Lyme. Construction is scheduled for completion by June 2017. Raymond, N.H.-based Jewett Construction Company, Inc. has been selected to design build a new dealership for Reynolds’ Subaru based in Lyme, Conn. The Reynold’s Subaru design-build dealership involves the construction of a new 22,250 SF facility requiring careful coordination between Subaru of New England and the Town of Lyme, Conn. for incorporation of both the manufacturer’s current image upgrades and the town’s stringent zoning requirements. The new facility will combine the iconic stone veneered Subaru tower into a historic carriage house design with vertical siding, architectural asphalt shingles, gabled roof lines, and New England barn-inspired accents. Construction of the new, ground-up, waterfront facility also includes major site improvements, demolition of two existing buildings, an elevator system, acoustic ceilings and tile flooring to match manufacturer image upgrades. A full walk-out basement opens to an IPE-clad waterfront patio with blue-stone paver hardscape facing the waterfront. The basement level will include corporate offices, a conference room, employee and automotive tech breakrooms, and file storage space. The first floor deck has been ruggedly designed to support the Reynolds’ Subaru vehicle inventory and new showroom/office functions. The new 5,000 SF customer-centric showroom will include a customer lounge with fireplace and coffee bar, a kid’s zone, a quiet lounge, inviting sales management offices, and a retail parts counter. A high-end 9,400 SF service department will include a radiant heated floor slab, full-coverage automotive-grade tile flooring, a service drive and customer write-up area, a parts storage department, and 12 service bays with fully recessed in-ground lifts. All work is expected to be completed by June, 2017. Jewett Construction, an official Butler Builder, is a family-owned design-build/construction management firm specializing in automotive, commercial and industrial projects throughout the Northeast. Its many clients include such well-known organizations as the Monarch School of New England, US Foods, LAARS Heating Systems, The Bean Group, Kennebunk Savings Bank, and the Herb Chambers Companies. Results from Essex Savings Bank’s customers recent voting in the Bank’s Community Investment Program were announced at a meeting of employees, directors and trustees at the Bank’s Plains Road Office on April 12. According to Thomas Lindner, Vice President and Community Relations Officer for Essex Savings Bank, 7,206 votes were cast this year for a total of $33,001. The non-profits that received the top ten number of votes were in attendance for special recognition. They are, in order: Shoreline Soup Kitchens & Pantries, Forgotten Felines, High Hopes Therapeutic Riding, Valley Shore Animal Welfare League, Old Saybrook Fire Company Number One, Bikes for Kids, Dog Days Adoption Events, Essex Fire Engine Company Number 1, Tait’s Every Animal Matters (TEAM) and Pet Connections. See full results here. The customer balloting portion of Essex Savings Bank’s 2016 Community Investment Program began on February 1 and concluded on February 29. The program entitled the bank’s customers to select up to three charities from this year’s list of 80 qualified non-profit organizations. Fund allocations are awarded based on the results of these votes. Each year the bank donates up to 10 percent of its net income to non-profit organizations within the immediate market area consisting of Chester, Deep River, Essex, Lyme, Madison, Old Lyme, Old Saybrook and Westbrook. Since the program’s inception in 1996, the bank has donated over $4 million to well over 200 organizations. This year, the bank has allocated $110,000 to assisting non-profit organizations who offer outstanding services to our community and one third of that amount is then voted upon by the bank’s customers. Editor’s note: Essex Savings Bank is a FDIC insured, state chartered, mutual savings bank established in 1851. The bank serves the Connecticut River Valley and shoreline with six offices in Essex (2), Chester, Madison, Old Lyme and Old Saybrook providing a full complement of personal and business banking. Financial, estate, insurance and retirement planning are offered throughout the state by the Bank’s Trust Department and wholly-owned subsidiary, Essex Financial Services, Inc., Member FINRA, SIPC. Looking for a new spot to savor your daily dose of hospitality? Why not try the new Hadlyme Country Market? Well, it’s not really new, but rather refurbished and restored. The market is, in fact, now much like it was in 1905, a place for locals and tourists alike to gather in the quaint and storied town of Hadlyme, nestled to the north of Lyme in southeastern Connecticut. The owners of the Market — Lisa Bakoledis and Susan Raible Birch — have been working to restore the historic landmark since purchasing the building and business in 2012 and are now proudly celebrating three years in business with the unveiling of their “new” market. Original postcard circa 1905 during the era when Lee Luther Brockway owned the store. The Hadlyme Country Market has been a pillar of the riverside since the mid-19th century when steamboats ruled Connecticut. Located near the water, this community center was the hub of commerce and social life. Boaters, locals, and businesspeople came for their market staples and sundries in a traditional neighborhood fashion where everyone knows their neighbor and lends a helping hand. A photo circa 1900 of Lee Luther Brockway, the original owner of the store, adorns the mantle. Photo by Alyssa Puzzo. The mastermind behind the operation was Lee Luther Brockway, an astute businessman and entrepreneur who recognized the boom from steam boating and new business along the river. As soon as he noticed a turn from boating to more land-based transportation with the arrival of automobiles, he picked up the store and moved it to a better locale. Now conveniently located near the Chester-Hadlyme Ferry and Gillette’s Castle, the bustling intersection of Rte. 148 and Rte. 82 (Ferry Rd. and Norwich-Salem Rd. respectively) has been the Hadlyme Country Market’s home since 1905. After decades of transitioning owners and falling under disrepair, Bakoledis and Birch, long-time admirers and locals, purchased the store with a vision for their treasure. Bakoledis, who worked at the store many times over the years, always felt like it was home; maybe because she lived in the apartment above but more likely because she sensed something special about the neighborhood, the people, and the rich history of the small town market. The renovated interior retains its old world charm with a fresh, new look. Photo by Anna Sawin, annasawin.com. The pair quickly went to work planning a remodel that was true to the market’s rich history and architectural integrity. After pouring over archives and records for images, blueprints, and materials, they came up with a plan that would restore the market to its original beauty plus a few modern comforts to attract a new generation of customers. The deli offers a tempting array of choices daily. Photo by Alyssa Puzzo. The market was renovated to its original glory with authentic the turn-of-the-century materials salvaged from local historical buildings. In 2013 the doors were opened to the public and Bakoledis and Birch received an outpouring of locals delighted at the return of an institution. What’s more, the new owners took it upon themselves to run the store as Brockway would have, replete with hospitality, charm, and friendly faces. Room with a view: customers enjoy their morning cup of coffee in a peaceful setting. Photo by Anna Sawin, annasawin.com. 9 Town Transit board members John Forbis of Old Lyme and Leslie Strauss show off the agencies newest buses. Photo by Estuary Transit District. 9 Town Transit welcomed four new buses into its fleet this December. The new buses feature the bright blue and green design and offer the latest in passenger comforts. These buses will expand the district’s fleet to accommodate its tremendous growth in ridership over the past several years. The total cost of $337,708 was paid for with Federal Transit Administration and Connecticut Department of Transportation. Santa will have a free gift for every child at Saturday’s event. Santa and Mrs. Claus will ride into the new Mike’s Famous Harley-Davidson in New London Saturday, Dec. 12, from 12 to 3 p.m. to support the U.S. Reserve Marine Corps annual ‘Toys for Tots’ campaign. This free event will include photos with Santa and the whole family … even pets are welcome. Santa will greet visitors in a Harley-Davidson® sidecar set in front of a traditional stone fireplace within the former Coca-Cola® factory. Each child will receive a free gift from Santa and parents will receive a $10 gift certificate to Mike’s Famous® for each toy contributed. Festive refreshments will also be offered. The showroom not only features motorcycles, ATVs and watercraft, but also boasts an extensive selection of riding gear, accessories, clothing, and toys; there’s something fun for every member of the family at this exciting new venue. Mike’s Famous Harley-Davidson is the New London County collection and staging headquarters for ‘Toys for Tots’, locally sponsored by the Thames River Detachment Marine Corps League. For months, the community has been donating toys and the Marines have been collecting, sorting and staging the gifts inside of Mike’s Famous®. The initiative will provide toys to children represented by dozens of charities and non-profit organizations this holiday season. Additionally, non-perishable food items are being accepted for donation to the Gemma E. Moran United Way Food Center. “We are thrilled beyond belief to be working with Mike’s Famous Harley-Davidson this year on our annual toy drive,” said Jim Reid, Junior Vice Commandant of the Thames River Detachment Marine Corps League. “As always, Mike has gone above and beyond the call of duty and has spent a lot of resources to accommodate our needs. In past years, we have worked in unheated warehouses and other tough conditions. Our very comfortable headquarters at Mike’s Famous is absolutely fantastic, and his staff has been great to work with. We are extremely grateful,” Reid added. Mike’s Famous Harley-Davidson is the 2015 recipient of the Chamber of Commerce of Eastern Connecticut’s Military Community Support Award, given annually to Chamber member businesses that have gone above and beyond to show support of the region’s men and women in uniform. Mike’s Famous was selected because of its outstanding commitment to supporting active military members as well as veterans. The dealership’s programs include Operation Personal Freedom® which offers a free Harley-Davidson Riding Academy® Beginner’s Rider Course for all active and retired military personnel. Mike’s Famous works regularly with the Wounded Warrior Project® and Adaptive Sports Foundation to improve the lives of service men and women who are living with post-traumatic stress disorder and physical handicaps. They have also raised and donated thousands of dollars for military veterans and veterans’ assistance programs, and the dealership organizes many additional events and programs to thank active personnel and veterans for their service. The objectives of ‘Toys for Tots’ are to help less fortunate children throughout the United States experience the joy of Christmas; to play an active role in the development of one of our nation’s most valuable resources – our children; to unite all members of local communities in a common cause for three months each year during the annual toy collection and distribution campaign; and to contribute to better communities in the future. Mike’s Famous Harley-Davidson is located at 951 Bank Street in New London, CT. The new dealership opened in March of 2014 in 55,000 square feet within the former Coca-Cola® bottling plant. It also represents the Can-Am® brands of ATVs, Side-by-Sides, Spyders® and Sea-Doo® Watercraft, and carries the full line of Polaris® recreational products. The charming exterior of ‘Pearls and Plaid” in Haddam, Conn.
Just a few weeks ago, on Nov. 12, local Haddam boutique “Pearls and Plaid” celebrated its first birthday. The store is located just a few shops down from the Goodspeed Opera House by the Haddam Bridge, making it a popular destination for tourists as well as regular townies. A peek inside the store. The store’s professed style is, “Where northern prep meets southern charm,” and its inventory certainly lives up to its logo. Rompers, dresses, jewelry, and various accessories are the most popular items in the store, and new items arrive just as quickly as the old ones sell out. A veritable treasure trove of items are always on sale at competitive prices. ‘Pearls and Plaid’ is a great example of the local businesses that are the heart and soul of our small communities. These businesses bring the community together and provide a more intimate experience than larger scale corporations. Just as we rely on them to bring character to our local communities, they rely solely on our support to maintain their status. Let’s commit to keep the charm and personality in our small towns by supporting ‘Pearls and Plaid’ and all the other small businesses in our local area to ensure many more anniversaries are celebrated! Editor’s Note: Pearls and Plaid is located at 4, Norwich Rd., East Haddam, CT. Its regular opening hours are Tue-Fri: 12 to 6 p.m., Sat: 10 a.m. to 5 p.m. and Sun: 11 a.m. to 4 p.m. For more information, Call 860.876.7328. In a few short weeks, The Bowerbird located in the Old Lyme Marketplace on Halls Rd. will be selecting a new recipient for their 2015-2016 gift wrap give-back program. Usually, this is a closed process; however, this year the store is soliciting suggestions from their customers and LymeLine.com readers. Do you have a favorite non-profit that could benefit from some extra funds? Eligible organizations must be registered as a tax-exempt nonprofit 501 (c) organization, be located in Connecticut or have a Connecticut chapter. In addition, they are not eligible if they have previously received funds through the store’s gift wrap program. The Bowerbird pioneered ‘cause’ marketing when they created their gift wrap donation program in 1992. In the past 22 years, The Bowerbird has donated over $71,000 to 27 statewide and local non-profits proving that small businesses can make a difference. The current recipient is the Children’s Medical Center located in Hartford. The 2015-2016 year’s wrap donation program will begin Nov. 1, 2015. 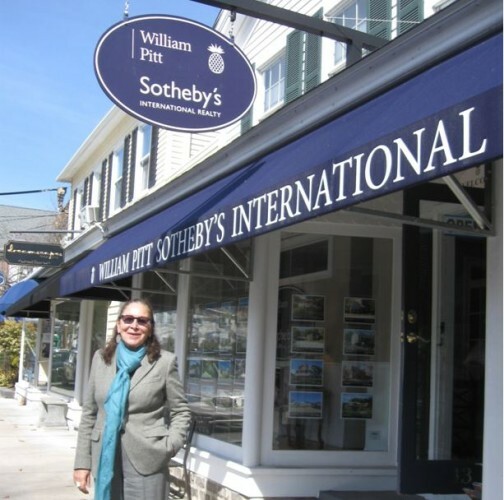 For more information, stop by The Bowerbird in the Old Lyme Marketplace.